472 pages | 14 B/W Illus. Shakespeare and Global Appropriation brings together a variety of different voices to examine the ways that Shakespeare has been adapted and appropriated onto stage, screen, page, and a variety of digital formats. The thirty nine chapters address topics such as trans- and intermedia performances; Shakespearean utopias and dystopias; the ethics of appropriation; Shakespeare and Global justice as guidance on how to approach the teaching of these topics. This collection brings into dialogue three very contemporary and relevant areas: the work of women and minority scholars; scholarship from developing countries; and innovative media renderings of Shakespeare. Each essay is clearly and accessibly written, but also draws on cutting edge research and theory. It includes two alternative table of contents, offering different pathways through the book – one regional, the other by medium – which opens the book up to both teaching and research. 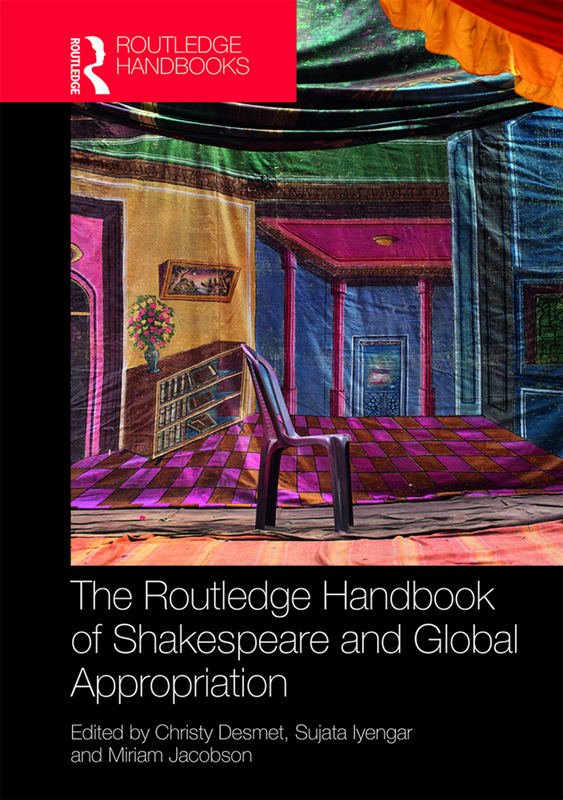 Offering an overview and history of Shakespearean appropriations as well as discussing contemporary issues and debates in the field, this book is the ultimate guide to this vibrant topic. It will be of use to anyone researching or studying Shakespeare, adaptation and global appropriation. Da Kine Shakespeare: James Grant Benton’s Twelf Nite O Wateva! Christy Desmet was Josiah Meigs Distinguished Professor at the University of Georgia in Athens, GA, USA. and co-general editor of Borrowers and Lenders: The Journal of Shakespeare and Appropriation. Sujata Iyengar is Professor of English at the University of Georgia in Athens, GA, USA, and co-founder and co-editor of Borrowers and Lenders: The Journal of Shakespeare and Appropriation. Miriam Jacobson is Associate Professor of English at the University of Georgia in Athens, GA, USA.